Everything You Ever wanted to know about Box Elder Trees! Poor Box Elder trees! Despite being natives of North America, they are almost considered invasive and are frequently called “trash trees!” They grow fast, but are short lived, rarely reaching 100 years of age! They have a soft wood that splits easily in wind and snow. Often they grow from multiple trunks, looking more like a large shrub than a tree! ​The leaves are similar in shape and color to Poison Ivy leaves. A Box Elder Tree with multiple trunks can look like a shrub. 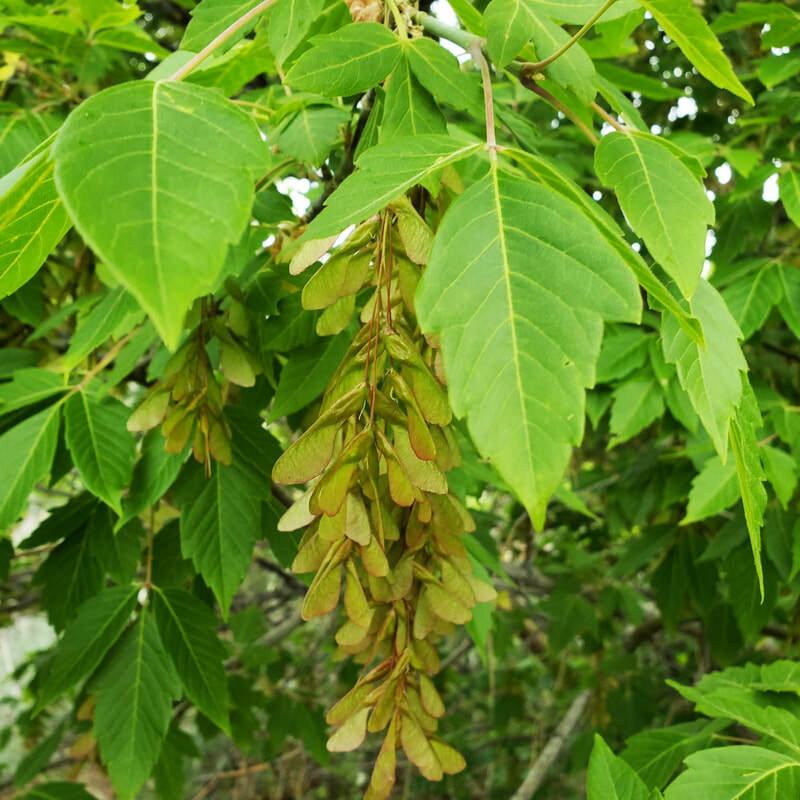 Box Elder leaves are similar in shape and color to Poison Ivy. 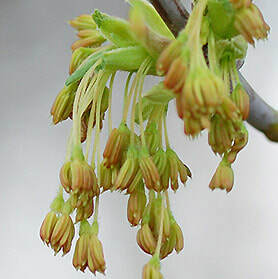 Box Elder Trees (Acer Negundo) are members of the Maple family and are either male or female. The female has similar “helicopter” seeds to the Maple that grow in pairs. Both the male and female have flowers in early spring, but only the female bears seeds. These seeds will stay on the female tree into fall and winter. ​The seeds are a source of food for the Box Elder Bug, and the tree is a place for the bugs to lay their eggs. If you have one in your landscaping, you will be lucky if it is not a female! The insects cause little damage, but their sheer numbers can be daunting. They can also leave little black stain spots on your window sills or curtains if they get in the house! Although the tree was originally popular for landscaping, as they grew so quickly, today they have lost their appeal due to their affinity for these insects! ​There are not many commercial uses for the Box Elder Tree. Its wood is too soft and pliable. 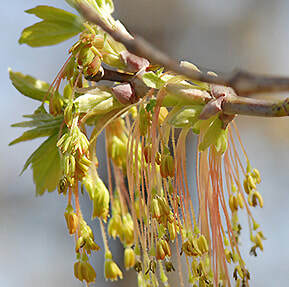 The plant’s sap can be used as syrup, but it is not as sweet as sugar maple syrup. However, despite it's many disadvantages, the Box Elder is an attractive, decorative tree, especially in the fall when it turns bright yellow, and a fitting namesake for the 11,000 foot high mountain that throws it's shadow across the city of Alpine every morning!